Content: There’s some neglectful treatment of kids and some awful parenting, but nothing physically harmful. It’s in the middle grade (grades 3-5) section of the bookstore. Arabella and Henrietta are twins (in some distant past). 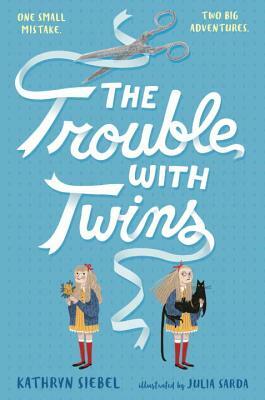 Arabella is the beautiful, smart, sweet one and Henrietta is… not. (Before I get too much further, the better sister story, if maybe a bit more mature for this age group, is Jacob Have I Loved which is one of the more powerful reading memories I have as a child.) Henrietta is neglected, ignored, unloved. And so when she tries to get attention by cutting Arabella’s bangs off (they seem a bit old for those kind of shenanigans, but maybe that’s me projecting), she’s banished to Great-Aunt Priscilla’s house. Where she’s basically Cinderella. That is, until Arabella decides she misses her sister and goes looking. It’s kind of a Lemony Snickett/Roald Dahl feeling book, where there’s bad adults (but not quite as bad as Dahl) who are neglectful and hate children and it’s the good, long-suffering child who gets the reward in the end. And in that light, it’s a good little book. The thing that got me was the intrusive narrator. Usually, I don’t mind them. But, this time the framing conversation between a mother and daughter just grated. I think it was meant to be cute, but it just didn’t work for me, and as a result the whole book fell flat. I think I’ll see if any of my Dahl kids are interested in this one; maybe it’s just me being overly sensitive.